For constructing the contour by mathematical expression press <Profile by function> button and in opened window choose the page <Functions>. 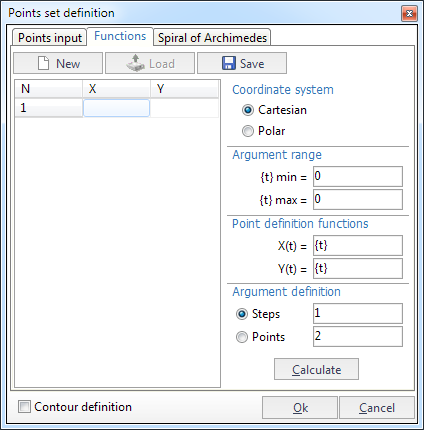 After defining the parameters of a function press the <Calculate> button to receive the set of points. The table of points will be filled up after calculation. This can be used <Cartesian> or <Polar> coordinate system. Below you can see two examples of a contour constructing.